Home of the Brotherhood of Fighters! ID Comics Studios will be launching its first KICKSTARTER CAMPAIGN on JULY 11, 2016 – and we want u to join us for the party! use this hashtag #IDBLUEPRINT2 to spread the word!! the kickstarter will be for an anthology book of short stories – all illustrated by the 3 studio members Jerry Gaylord, Bryan K Turner, and Penelope R. Gaylord. we will be working with some great writer friends – Kenny Groom and Jeffrey & Susan Bridges – to give these stories the fun, strong backbones that they need. we’ll have some great rewards for those that are willing to support the project with us to make this nearly decade-long dream become reality! We’ve created a Facebook Invite to remind folks of the Kickstarter’s launch date – July 11, 2016. head on over to the ID FACEBOOK PAGE to accept the invite as well as see behind-the-scenes art that we’ll be posting throughout the campaign. wear ur party shirts, kids, cuz it’s gonna be fun times! 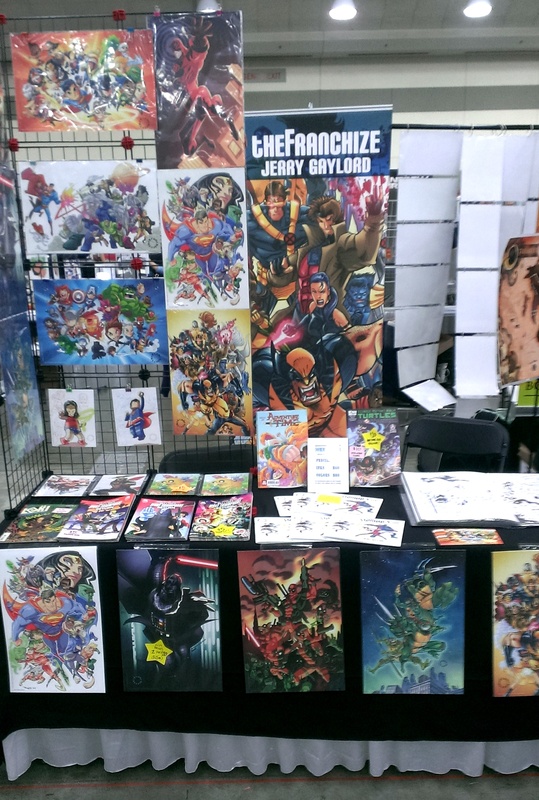 we just got back from Tidewater Comic Con and we had a great time out there! met some new people, chatted up with old friends, enjoyed all the love given. but there’s no rest for the wicked! 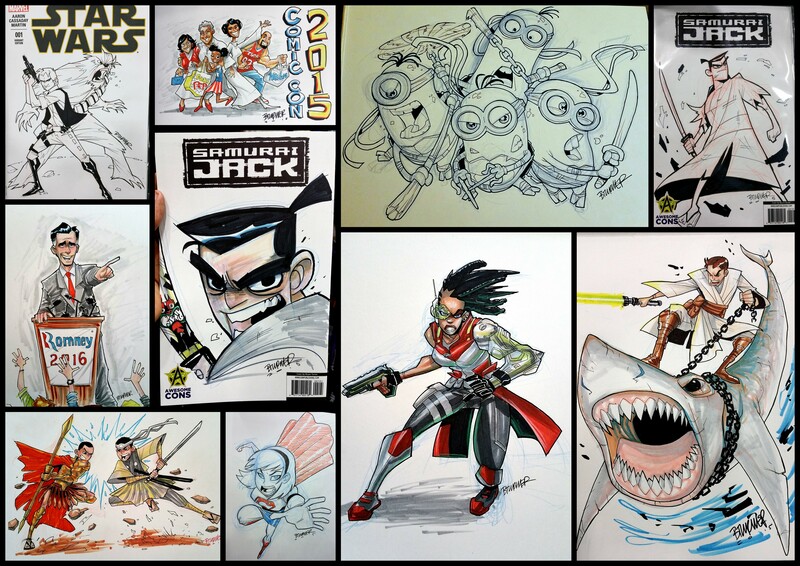 we’re getting ready for the next show that start THIS THURSDAY – MEGACON in Orlando, FL! all 3 IDSTUDIOS members will have their own tables but sadly we’re all spread out around the artist alley. be sure to use THE HANDY MAP ABOVE to find each one of us. 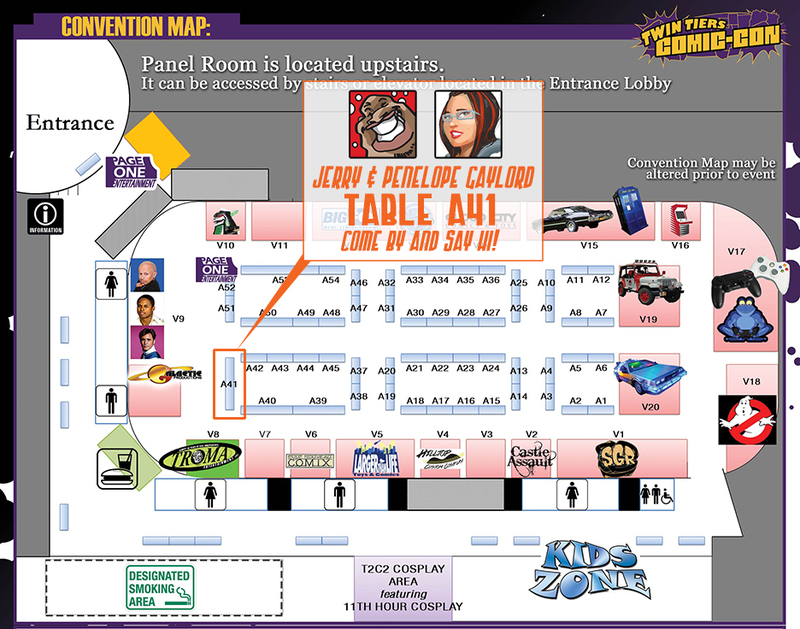 Jerry “theFranchize” Gaylord will be at TABLE A358. 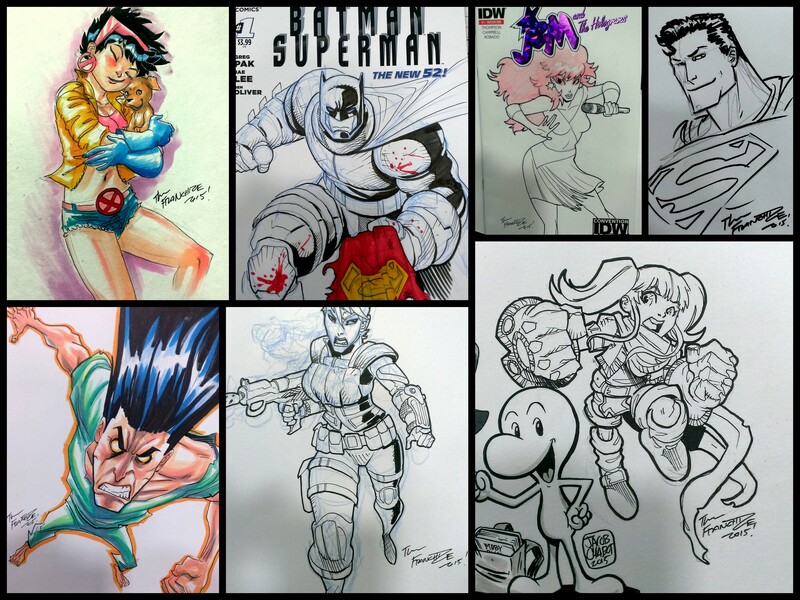 Bryan “Flash” Turner will be at TABLE A194. 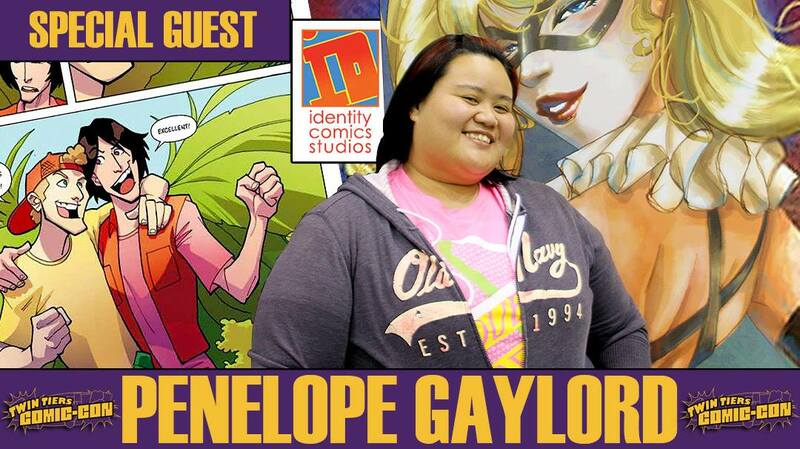 Penelope “Peng-Peng” Gaylord will be at TABLE A201. 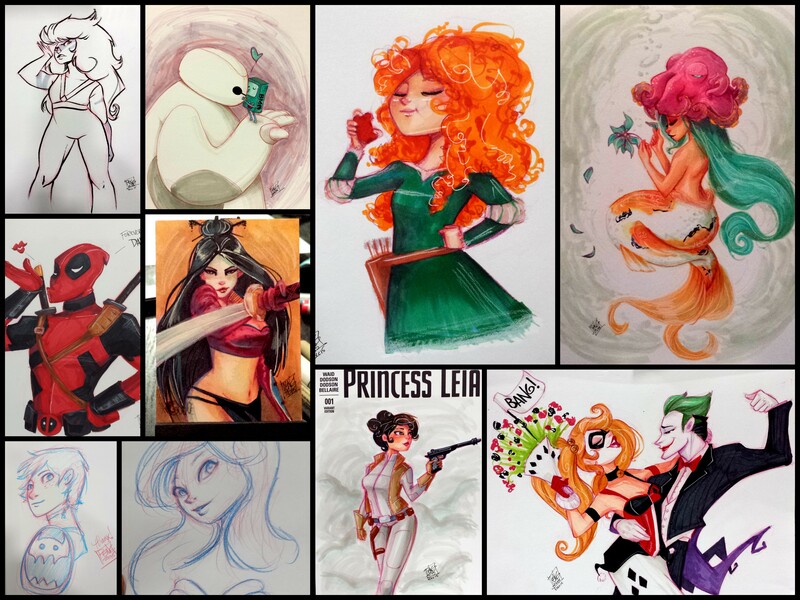 we’ll have prints, books, original art, and doing commission sketches all weekend from Thursday-Sunday May 26-29th. hey guys! 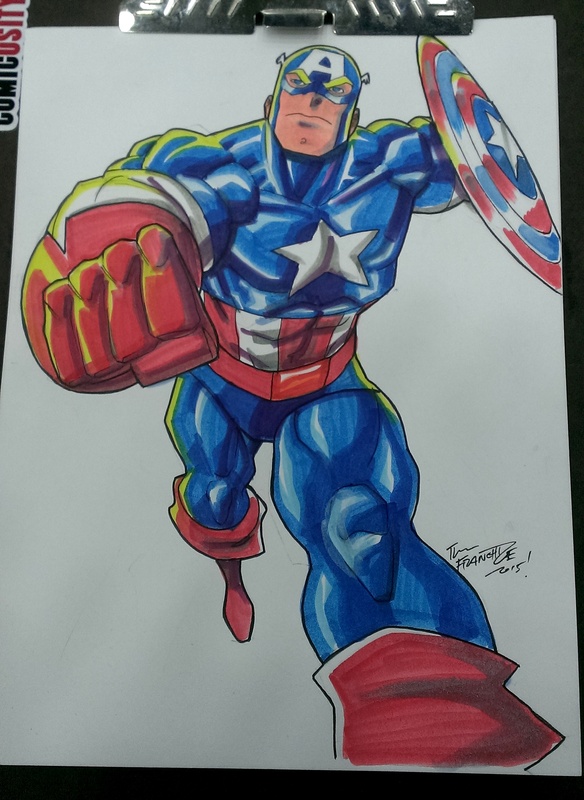 Tidewater Comic Con is here! this is the first of 3 back to back (to back) conventions for IDSTUDIOS. next week is MegaCon in Orlando, and after that it’s Awesome Con in Washington, DC! 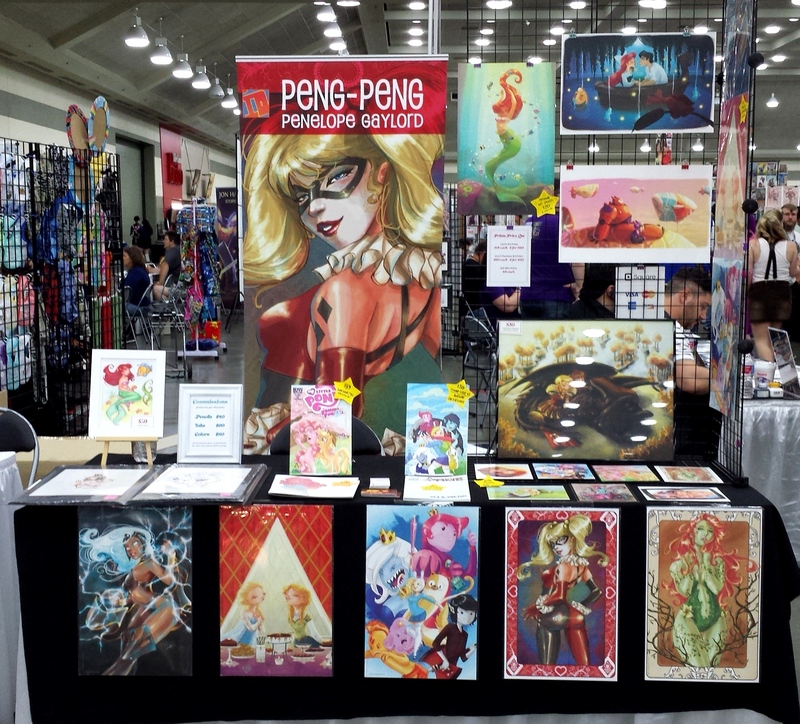 if you’re in the Virginia Beach area, come out to the show and find all 3 of us in the artist alley – TABLES A516, A517, A518! 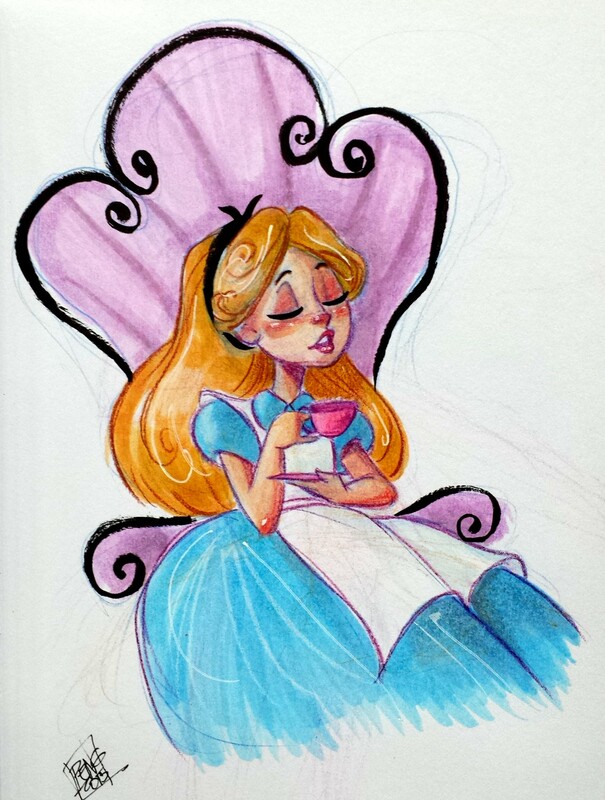 we’ll have books, we’ll have all sorts of prints, and we’ll definitely be doing sketches all weekend long! there are celebrities at this show too so there’s plenty for you to do. oh, and it’s VA Beach so LOTS of fun happening all over the place. we had a fantastic time there last year on our first visit and we’re hoping for more of the same. 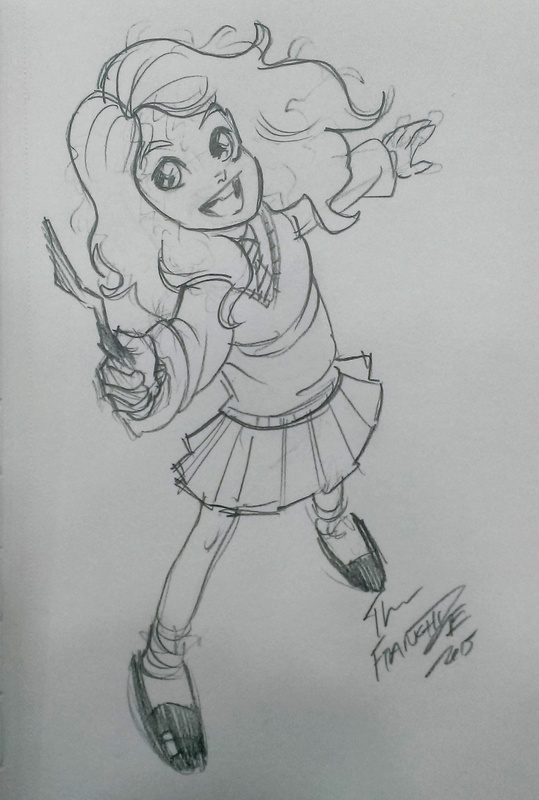 keep an eye on our IDSTUDIOS FACEBOOK PAGE for pics of sketches at the con! Free Comic Book Day is fast approaching! May 7th is the day after the newest Captain America:Civil War release and there’s nothing better than celebrating comics to keep the rush high. Penelope “Peng-Peng” Gaylord will be representing the studio that day and celebrating it with Third Eye Comics in Annapolis, MD. it’s honestly one of THE best comic shops in the area, dare i say even on the whole East Coast. the shop always brings out guests, have a great sale happening, and even a super cool vendor or two for their “Third-Eye Faithfuls”. it also marks their anniversary so we were more than happy to be asked to be a part of the festivities. Jerry and Bryan both have separate prior commitments that day so unfortunately they will not be able to make it out. Peng-Peng will be holding down the fort that day. so look out for this banner (and her) in the Guest Tent! she’ll have her prints, large and small, as well as her new stickers for purchase. the shop will also have some comic titles that she has worked on available to buy! and if she hasn’t lost her head in prepping for the event, she may even bring some free comics to give away. cuz what’s a FREE COMIC BOOK DAY without some FREE COMICS! so 2016 is already a month in! we’ve even got our first blizzard and we actually quite enjoyed it. we took a major break from this website after CTNX because of the holidays but if you follow us on any of our social media outlets, you know we’re still here drawing and getting work done. usually in the beginning of the year we tend to have a little bit more time on our hands until the first set of comic cons start rolling in. and this year we won’t have our first official comic convention until May. we’ve started doing some daily sketches and we’re taking turns coming up with topics. here are just a few of our favorites. be sure to LIKE our Facebook page – facebook.com/IdentityComicsStudio for more frequent updates including our daily sketches. thank you again for coming by both of our tables at that con. i know it was weird to see Peng-Peng and theFranchize separated like that. we promise we are still married and love each other dearly. (everyone was so sweet to ask.) we decided to attend the convention very late so the con organizers were kind enough to give us whatever tables were available & we were happy to accept. 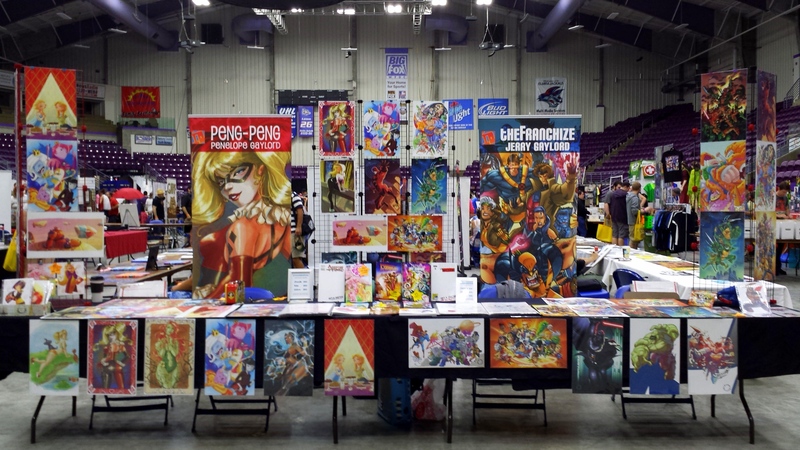 Find us at TABLE A41 at Twin Tiers Comic Con! 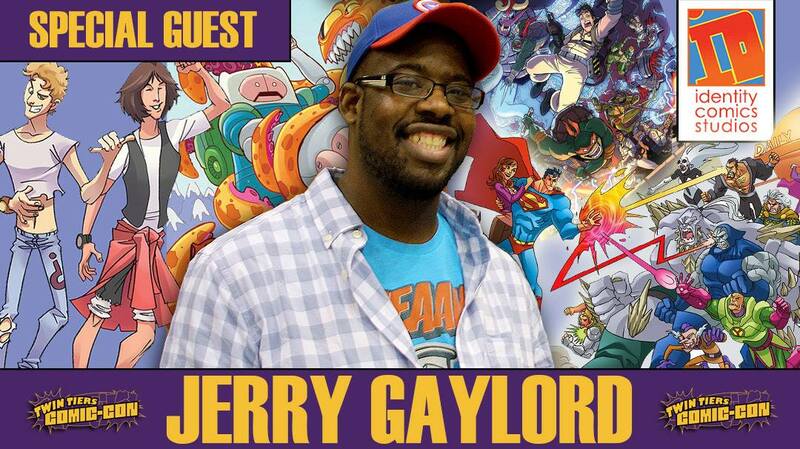 this weekend, Jerry & Penelope Gaylord are going to be guests again at Twin Tiers Comic Con in Elmira, NY! everyone just makes this show great so we’re always looking forward to it every year. the people that run it are super nice, the folks that attend are even nicer still. after San Diego, we had to restock a few of our prints so we’ll have them for this con! we will also be bringing any Bill and Ted’s Most Triumphant Return books we have, including the most recent and last issue that came out on Wednesday Aug. 12th! 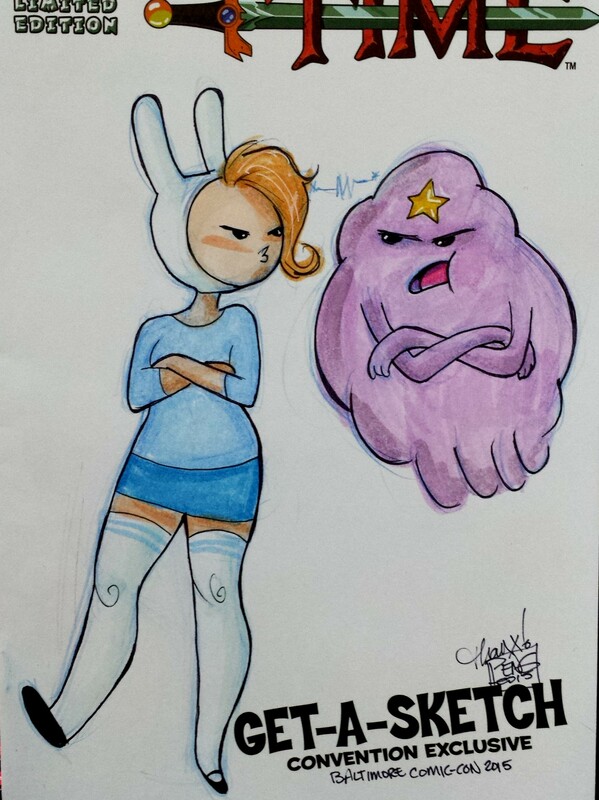 and as always, we will be doing sketches at the con. this year they have a new after party with some Drink & Draw fun. all the money from the art sold will go to Heroes Initiative. we’ll be there to draw some fun stuff so if you’re planning on attending, try to come to the party! it’s free to get in so there’s little reason not to (unless you’re under 21, which means u can’t). get more info about the event on the T2C2 Facebook Page! well, we’ve survived our first time setting up at San Diego Comic Con’s artist alley last month. some of us came home with the con flu, so we had to take some time to recuperate. but now we’re all back in the full swing of work and new opportunities and our pictures from the show are finally posted up on our ID STUDIOS FACEBOOK PAGE! we had an amazing time there! it was probably the most tiresome con we’ve ever done, not just during the show but including all the prep we did before we even went out there! but we met some great new people, made some cool new friends, and of course we left with some cool fun stuff that only SDCC can give ya! i hope this won’t be the last time we exhibit because it was just an awesome experience. HUGE THANK YOU to everybody that came by each of our tables and showed us some love. next year hopefully we’ll have tons of new things to show you guys! 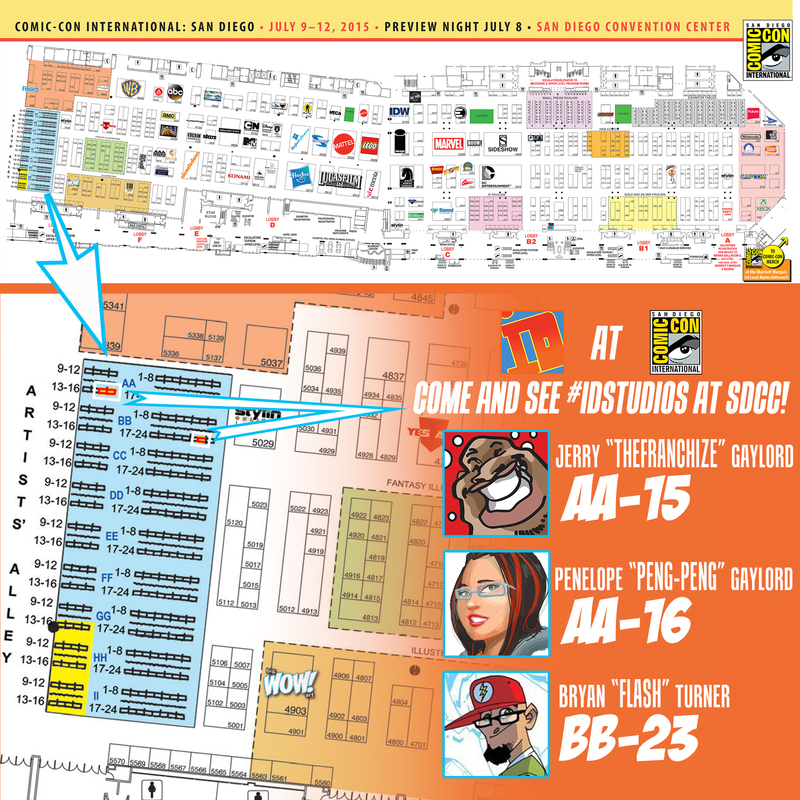 Come and find IDSTUDIOS at Comic-Con! Artist Alley tables AA-15, AA-16, and BB-23! by now u may have heard that the whole IDSTUDIOS crew will be at San Diego Comic Con this year and this time, we each have a table in Artist Alley! this will be our first time ever setting up at SDCC’s artist alley and it’s already just one week away. if ur about to be at the con of all cons next week, please come out and say hi to us cuz we sure could use some friendly faces. here’s a nice handy map to help u find us in the vast space of the convention center. We’ll have our prints, comics, and newly reprinted sketchbooks to sell. and, as always, we’ll be doing commissions the entire con. wish us luck! COME BY AND SEE US!